As Treasury prepares to deliver its 2014 iteration of the National Infrastructure Plan, Commercial Secretary Lord Deighton explains the challenge of reducing cost and driving investment to boost the economy. 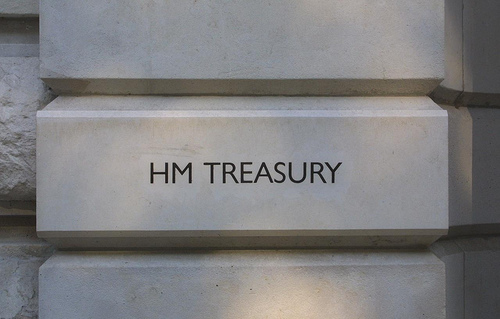 With reducing the cost of infrastructure in the UK still critical to maintaining high levels of investment, Treasury commercial secretary Lord Deighton is leading the charge to move the industry from talking about ideas to making them happen. A former Goldman Sachs banker and the man who most recently led the commercial delivery of the 2012 London Olympic Games, Deighton certainly commands both clout within government and the respect of industry. He is a man focused on practical outcomes and backing success as the nation strives to deliver its £380bn National Infrastructure Plan (NIP). And it is clear that this increased private sector engagement has garnered and maintained cross party political support for investment, breathing life into projects such as High Speed 2, Thames Tideway Tunnel and Hinkley Point C. Yet there is, he accepts, still much to do to drive forward reforms to secure investment support. As he put the finishing touches to NIP14, Infrastructure Intelligence spoke to Deighton about leadership, culture change, industry collaboration, infrastructure as a catalyst for economic growth and low carbon opportunity plus the challenge of maintaining focus on deliver through a General Election. Tackling the high cost of infrastructure in the UK is critical to enabling projects to be investable. What makes you confident reductions demanded can be achieved? We have already made strong progress in changing behaviours and driving cost reduction. The Infrastructure Cost Review published this summer set out evidence of around 15%, worth over £3bn per year. But there remains much more we can do together with industry to improve delivery and reduce costs. To build on this success, we have launched a forward programme for the Cost Review in partnership with the Infrastructure Client Group, chaired by Andy Mitchell. I have asked the ICG to report to me next autumn on its progress. You have made a strong link between delivering the Coalition’s long term economic plan and infrastructure. Why? Infrastructure strengthens and drives the economy, and improves living standards. It creates jobs directly; £36bn of investment planned this year could support over 150,000 construction jobs. And it acts as a key enabler for future economic development, driving broader growth and regeneration. I chaired the task force which published a report earlier this year on maximising the growth opportunities of HS2. This is a project that has the potential to re-balance the UK economy. You talk about leadership being the key to making infrastructure a reality. Can you point to examples of where this exists in the industry? My focus has always been on delivery, and – as I learned from the Olympics – delivery of infrastructure projects relies on having terrific people with the right capability. That starts at the top with the best leadership. We’ve made a priority of getting the right people in place to take our key projects forward, whether that be Sir David Higgins at HS2 or the likes of Chris Townsend at BDUK. But leadership needs to come from the private sector too – which is why we are working with industry on the Construction Leadership Council to drive performance. And leadership is not restricted to central government. Howard Bernstein and Richard Leese have shown in Greater Manchester what can be achieved at the regional level. Leadership is also identified by the Green Construction Board as critical to shifting the industry towards a lower carbon agenda. Does the industry really understands the benefits of a lower carbon future? The Infrastructure Carbon Review published last year set a clear link between lowering carbon and lowering cost, bursting the myth that the green agenda adds cost. I am encouraged that so many organisations have joined me in signing a pledge to implement the recommendations of the Carbon Review. They have made a commitment to bring leadership to this critical issue and we will be measuring their progress and performance it meeting these commitments. Investor confidence is based largely on certainty of government support for infrastructure. What has this government done to underpin this investor confidence? In the public sector, we’re providing long-term funding certainty with settlements in key sectors such as roads, flood defence and science. This is the first time this has happened, and means that in transport, for instance, we will be spending more than £70bn over the course of the next Parliament, including the biggest programme of investment in roads since the 1970s. But, of course, we know that around 60% of the infrastructure pipeline will be financed by the private sector. Where that is in regulated sectors, there is a strong track record of investment, and the Government is committed to the system of independent regulators which has delivered this. In unregulated sectors, Government has taken steps to support investor confidence, including the UK Guarantees Scheme, which now has now prequalified over 40 projects worth more than £35bn. The National Infrastructure Plan is an attempt to prioritise the infrastructure needs of the nation. With hindsight, could this have been better structured? The National Infrastructure Plan sets out the Government’s long-term plan to meet the UK’s infrastructure needs to 2020 and beyond. It has evolved since we published the first back in 2010. Last year we included the most robust pipeline to date, and we’ve since updated it, so that it now shows over £380bn of planned public and private investment. We also responded to industry feedback by including a list of “Top 40 priority investments”, setting out how each one supports our strategic objectives in each sector. We continue to engage with stakeholders to make it better as we look ahead to NIP14. Economic upturn has put pressure on industry resources. How will government work to ensure that does not add to the cost of infrastructure? The government has committed to fund a pipeline of projects worth over £100bn over the next parliament, including over £70bn in transport. This includes the biggest investment in roads since the 1970’s, trebling annual investment in major road schemes by 2020/21. We now publish our infrastructure pipeline biannually. However, publishing the pipeline is not just about giving investors and the industry greater visibility and certainty. It can help us understand the resources we need to deliver our plans across all sectors and regions of the UK. For example, we now model the pipeline to profile the short and long term skills demand to ensure we have the right skills and resources in the right place at the right time. We have set up a Skills and Supply Chain group chaired by Dr Diana Montgomery, chief executive of the Construction Products Association, with members from industry and government to develop strategies that target investment in training to ensure industry is ready to deliver. Collaboration across the supply chain is critical – how can we improve this aspect of the business? The Infrastructure Cost Review programme was not just about reducing the costs of delivery; it was also about changing behaviours in government, clients and industry to encourage greater collaboration to drive sustainable change. Feedback from industry is encouraging, particularly in the rail, water and highways sectors. Geoffrey Spence, Infrastructure UK chief executive, warned recently that the public sector lacked the skills to collaborate successfully. What should be done to change the situation? One of my first jobs within Government was to make sure that our internal capability was right. I have conducted a review of Government’s ability to deliver its key projects and programmes and have been working with infrastructure departments to ensure that they have the right commercial skills in place to deliver their plans – supported by specialists from Infrastructure UK. What are the biggest challenges for an incoming government in terms of maintaining focus on infrastructure? It is certainly true that infrastructure has risen up the political agenda since 2010. The Government has been clear on the legacy we wanted to leave – world-class transport, communications and energy networks that will drive economic growth. Things such as the publication of the National Infrastructure Plan have definitely helped in getting that that respect. Of course, the case for infrastructure isn’t, and shouldn’t be contentious, so the challenge is partly to keep on getting the message out – to explain why difficult decisions on day-to-day spending are needed to prioritise infrastructure investment. And our focus then must be on making sure we deliver these schemes faster, better and more cost effectively than ever before.